Always wanted to learn how to kayak? Want a chance to explore the beautiful waterways in and around Galway? Have some fun? Meet new friends? If you answered Yes to any of these questions then our Kayak Beginner courses are the perfect activity for you! During the course, our experienced and qualified instructors will teach you how to kayak safely while having fun on the Upper Corrib. Our courses are run from the Commercial Boat Club in Woodquay in the heart of Galway. 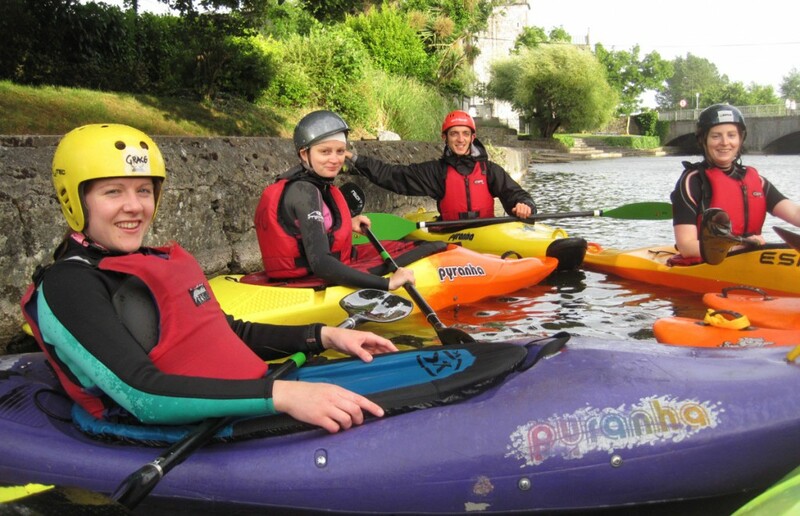 The course includes assessment for Canoeing Ireland Level 2 kayaking certificate. Please note that as this is a water-sport, you need to be able to swim. All kayak gear (boats, paddles, helmets, buoyancy aids) is provided during the course. You will need to bring some personal gear like a wet-suit, booties or old warm clothes such as tracksuit bottoms, old runners to wear on the water. Also, please bring a change of clothes. Changing facilities are provided and showers are available. Parking on-site is available as well. Courses start at 6:30 pm and end around 8:30 pm each evening. Last weekend was a very busy one for GKC! Firstly we have to give a huge shout out to Ali Donald and Shane Young for their incredible 8th place in the 201km Devises to Westminster race in a sub 20 hour time! Such a tough race, they did amazing as we knew they would! Further afield the club trip to Wales was a great success with spins down the River Dee and Tryweryn. Aoibhín O'Broin and family were in the UK training and racing at the UK's National WW Centre in Nottingham. While at home we had a sunny surf trip to Fanore! Galway Kayak Club is with James Byrne. Last week had our 1st cohort of new paddlers getting used to their new boats and they are progressing brilliantly!